Heading into the PFDC sunsilk fashion week, the anticipation rises as designers keep us updated with their press releases and teasers streaming all over the social media. This year’s showcase is going to an interesting hybrid of new techniques and the maison’s aesthetics. We are all eyes for the new techniques and fresh ideas that are going to be introduced by major design houses. PFDC has always been a pioneer for new talent putting contemporary designers shoulder to shoulder with the fashion market leaders. Taking an insight into some of the major design houses and their muses behind the collections; HSY, Fahad Hussayn, Kamiar Rokni, Sania Makatiya, Saira Shakira, Hussain Rehar and ofcourse Nomi Ansari, have us extremely excited for what they’re going to put forth. Standing at the brink of summers, there is definitely a need for our fashion guru’s to take the lead and inspire the spring summer styles and trends. HSY goes back to the basics, extending his couture training to pret aswell. This completely hand made collection, where every piece has been given all the attention it deserves, we are expecting to see the HSY magic sprinkled all over these haute couture pieces. The collection is called ‘Rani’ named after his mothers nick name, an ode to all powerful women out there who have been the inspirational force behind the design philosophy of the house. Expect every shade of red on the spectrum, as this was the first color Hassan was exposed to after he got his eye sight back. Fahad Hussayn keeping it on a lighter note calls his collection ‘Suraiya Titanic’ taking inspiration from truck art on pre pattern lawns. the teaser looks extremely fun and hip and we cant wait to see what the genius is bringing up next, Kamiar Rokni is going to keep it in line with the brands philosophy using traditional techniques of block printing and richly dyed brocades, Hassayn Rehars fifth dimension looking forward at a bold and free future has us on our knees, after seeing Sania Maskatiya’s recent showcase in karachi we have a vague idea about the brilliance ‘Isfahan’ is going to bring. Sameer Karasu’s debut collection and Nomi Ansari collborating with Tuhura athletics;sportwear brand is definitely going to be something exciting for the crowd. 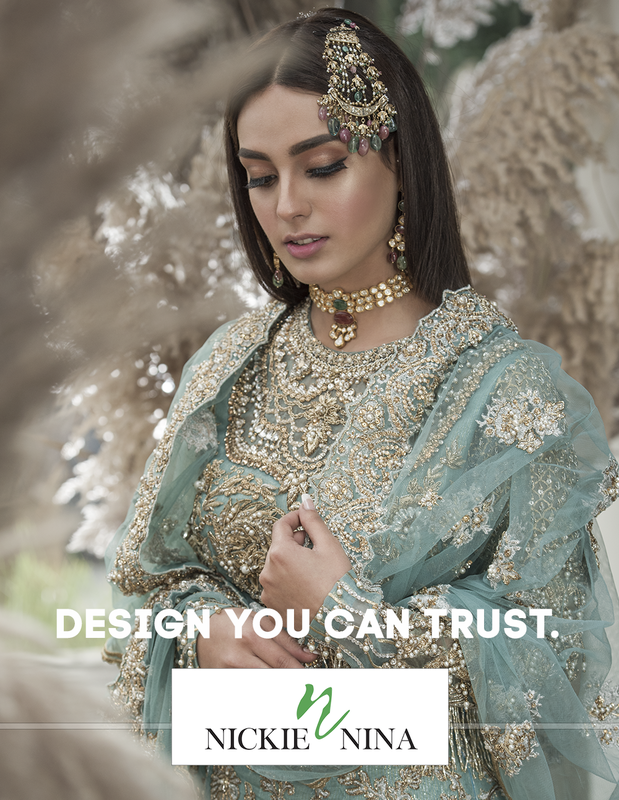 The aquafina rising stars Zeeshan Mohiuddin,Mahnur Azam and Hafsa Mehmood, will be showcasing their graduate collections which is going to be a very crisp addition to the showcase.